All POWDER POINTE homes currently listed for sale in Park City as of 04/19/2019 are shown below. You can change the search criteria at any time by pressing the 'Change Search' button below. "This one-bedroom residence is located in the heart of Park City, directly across from Park City Ski Resort. The loft makes this unit feel open and spacious. Perfect for a second homeowner who would like to bring friends and family or generate some decent extra income with nightly rentals. With direct views of the ski resort right from the deck, this condo is just a short walk from North America's Largest Ski Resort. Almost everything you need is a close walk including, grocery store, gas station, coffee shops, dining, and shopping. Hop on the free bus system and travel anywhere in Park City. Only 1 mile from Historic Downtown Park City, 30 minutes from Salt Lake City International airport." "Talk about a perfect location! Located at the base of Park City Mountain Resort, with views of the trails and within walking distance to the lifts, this condo is perfect for a vacation getaway, investment property, or first home. This condo is in turn-key condition, featuring 602 square feet and 1 bedroom and 1 bathroom. The large stone fireplace in the open living/kitchen area creates a beautiful and serene focal point, while the private patio provides views of the slopes. With the resort and Park City's bus system conveniently located a short distance away, you don't even need to have a car living in this beautiful condo. Take the bus to historic Main Street for a night out or live entertainment during the Sundance Film Festival, the annual Arts Festival, or the famous Fourth of July celebration. The bus also takes residents and visitors to Kimball Junction, with easy access to I-80, as well as additional restaurants, shopping, movie theater, and family-friendly activities. With so much to see and do in Park City, this condo is all one needs to enjoy the iconic mountain lifestyle Park City is famous for. " 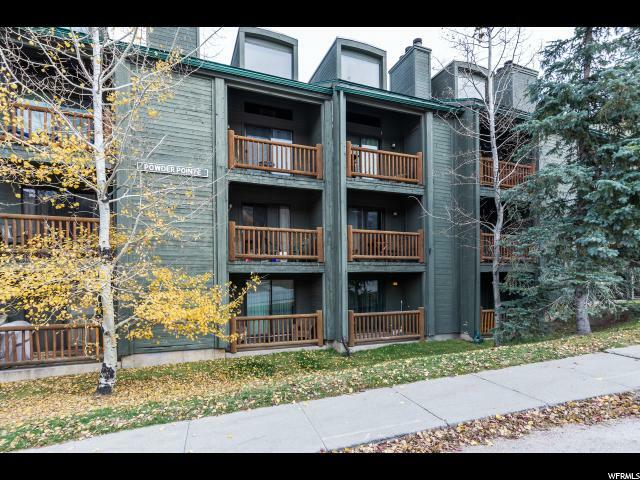 "Ideally located on Woodside Avenue , walk out your back door of this street level Powder Pointe condo and over to Park City Mountain Resort right across the street ! 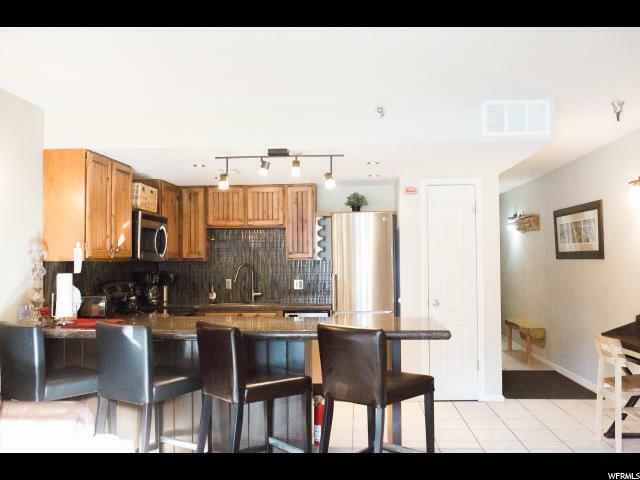 This one bedroom one bath unit offers a full kitchen, ample living space and easy access from the parking area at Powder Pointe. The gigantic storage closet that accompanies the condo offers room for motorized bikes or scooters and plenty more, making this a unique unit fit for getting out on the town easily. Previously a vacation rental and more recently rented to long term tenants, this property offers use diversity. In it's original form, this property has been well cared for and could be a turn key investment, or can be updated for increased equity potential ! "